Are you on the hunt for a full-blown, high-power gaming laptop that loses no sweat in fuelling the most intense gaming endeavors? Well, the Alienware M15 AWm15-7806SLV-PUS gaming laptop may be right up your street. This 15-inch computer by Dell is mighty, thanks to its Intel Core i7 processor and NVIDIA GeForce RTX 2060 graphics. 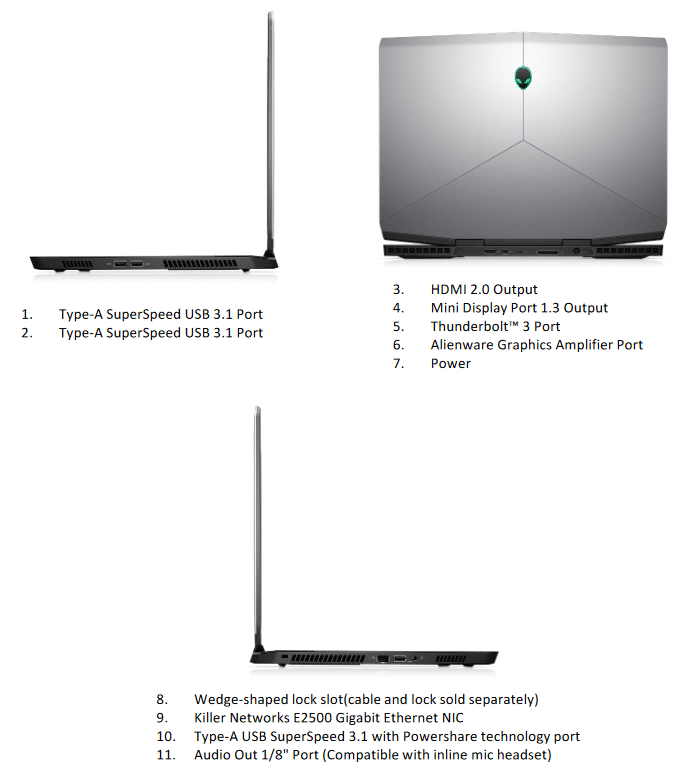 It is also astonishingly lean for all that strength; in fact, it is 5% thinner than the Alienware 13. 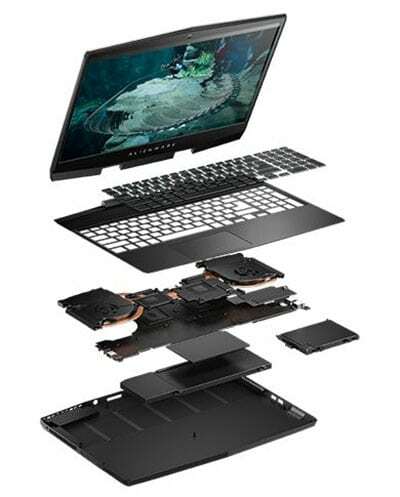 In additional features, this Dell laptop brings to the table extensive customization and longevity, which is courtesy respectively of the Alienware Command Center and the Alienware Cryo-Tech cooling mechanism. 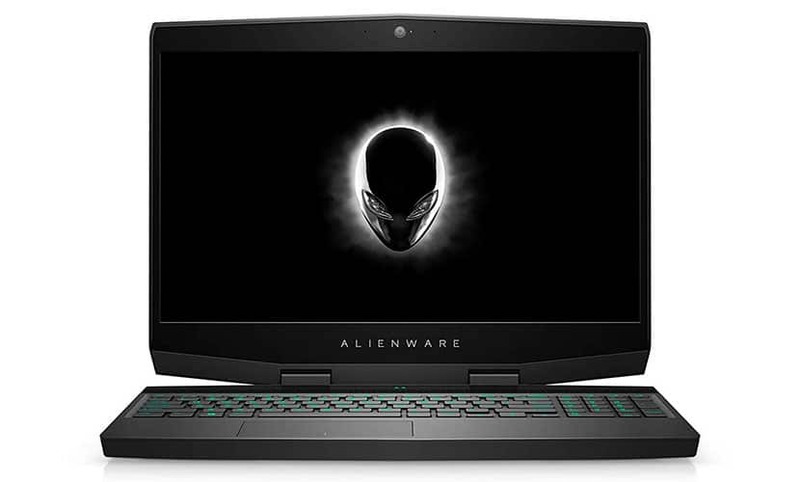 The Alienware M15 is priced under $2000. Let us inspect everything it offers more closely and see how far it meets the expectations it so proudly sets. Fueling this laptop is a speedy and efficient Intel Core i7-8750H CPU (six-core, eighth-generation), supported by 16GB DDR4 RAM and a 512GB SSD. The processor can be overclocked to run up to 4.1GHz with Turbo Boost. It goes without saying: this is a configuration perfectly capable of blazing-fast speeds, even when you immerse yourself in CPU-draining gaming arenas. The voluminous SSD helps reduce the booting- and loading times. Thankfully, all that raw strength remains sustainable with the Alienware Cryo-Tech V2.0 heat dissipation system. It is quite a triumph in innovation, with its dual-intake, dual-exhaust airflow. The liquid-crystal polymer fan (0.2mm blades) induces little friction and manages to circulate air efficiently enough to keep the innards cool for long, uninterrupted hours. The capability for customization on this system deserves a special mention. The Alienware Command Center makes it possible to fine-tune the hardware and software for any game you play so that the resulting experience is highly personal as well as optimal. You can also personalize the AlienFX Lighting (say, on the keyboard) to create a unique ambiance for different zones on the system. It is possible to choose from as many as 16.8 million colors per zone! The laptop also benefits from Ace Library Science that links your systemic settings with the gaming library. Basically, you have perfectly tailored gaming profiles that genuinely get you. Bringing to you the full power of real-time ray tracing and AI-enhanced graphics (artificial intelligence) is a dedicated NVIDIA RTX 2060 GPU with 6GB of dedicated memory. This graphics card, based on the Turing architecture, delivers a major upswing from the previous line-up of GTX cards. You will be able to enjoy gameplay at high frame settings without experiencing stuttering, jitters or lags. Moreover, the shadows, special effects and lights in your games appear more realistic than ever. The RTX GPU also lends you amazing future compatibility, especially for the exciting new RTX-only upgrades that many major game-makers have announced. 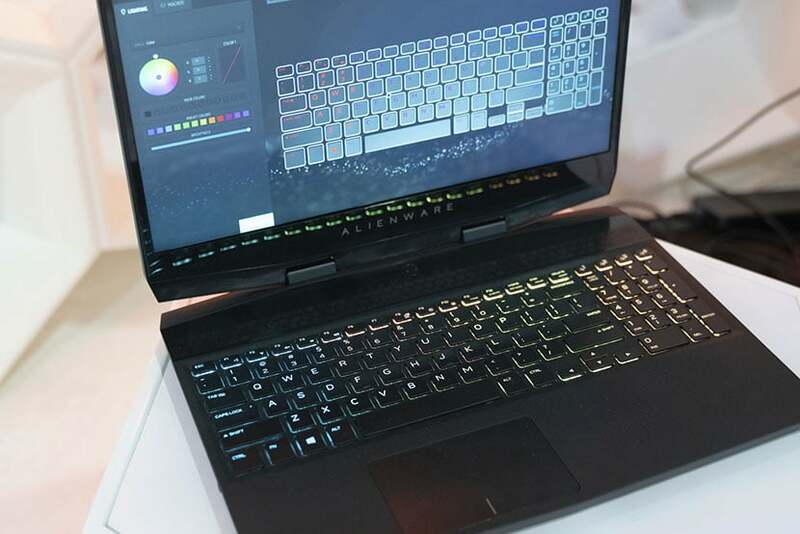 The thin-bezel display on this gaming laptop does justice to its powerful GPU. The 15.6” FHD screen offers a resolution of 1920 x 1080 which is adequate for most modern AAA games. While the brightness of 300-nits ensures vivid imagery, the 72% color gamut brings alive the details. The monitor has an IPS panel (In-Plane Switching) so that you can play comfortably irrespective of the angle from which you view the proceedings. Notably, the refresh rate of the screen is optimal—144Hz. While 60Hz might be ample for many gaming titles, this higher metric guarantees that you can delight in extra smoothness and minimal ghosting. The difference becomes particularly palpable when you play shooter games or indulge in other pursuits that involve rapidly changing movements. With this launch, Dell has forayed into the territory of thin and mean gaming machines; the emphasis on smart design is evident throughout. Not only is the Alienware M15 among the thinnest and lightest in its league, but it achieves this feat by adhering to contemporary construction standards. For instance, the chassis employs a high-end magnesium alloy which is among the lightest structural metals. The use of magnesium helps keep the overall weight at 4.78lbs—not bad at all for a 15-inch gaming machine that is as powerful as this one. The weight is 20% lighter than the Alienware 13! Further, the thickness of 17.9mm (0.7”) lends a degree of elegance to the silver chassis, keeping the profile thin enough for mobility. The choice of construction material remains praiseworthy even in other modules, such as the thermal set-up. The use of copper for the heat pipes (2.5mm and 6mm), especially, goes a long way in ensuring long-term operation at maximum settings. Fans of online gaming, rejoice! With the new Alienware, you can avail of Killer Networking; the Killer E2500 Ethernet controller (Gigabit) succeeds in bringing you enhanced throughput during your game. In fact, it is also possible to upgrade to Killer Wireless-AC 1550 (up to 1.73Gbps). This opens up the world of Killer DoubleShot Pro—an expert at prioritizing internet traffic to ensure you get the best gaming experience. Besides internet connectivity, this computer also ensures all-around support for devices, peripherals, and audio-video calling. So, there is a front-facing FHD camera to let you interact with companions and competitors. There are dual-array microphones that support Windows Cortana, the helpful digital assistant you can use to fulfill voice commands. Finally, two USB 3.0 ports permit you to plug in devices and peripherals such as controllers and mice. The latest Alienware M15 AWm15-7806SLV-PUS gaming laptop is Dell’s answer to a full-purpose 15-inch computer that is also thin and light. Besides a powerful processing configuration and compelling graphics, it manages to be lean and elegant, thanks to its innovative construction. It offers the ability to customize system settings to your gameplay—and very meticulously at that—and the provisions of ample internet connectivity and device support. In essence, this behemoth achieves a formidable blend of speed, visual brilliance, sustainability and customization—features that all serious gamers must have in their arsenals.